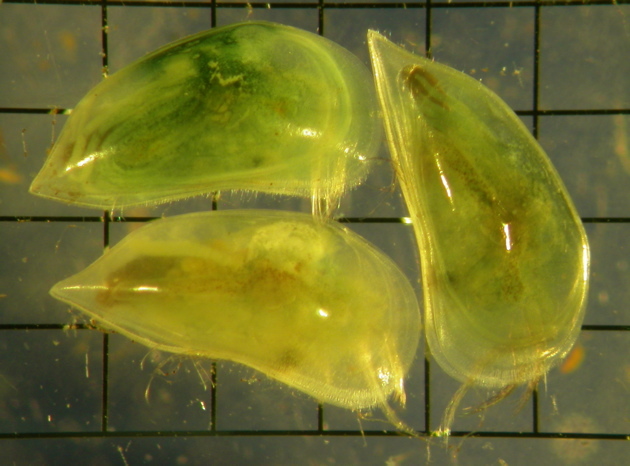 The SW is home to a high diversity of seed shrimps (Ostracoda) with over 200 species known. Sixty-five known species live in naturally saline inland waters, however many of them are not found in systems impacted by rising salty groundwater (secondary salinisation). 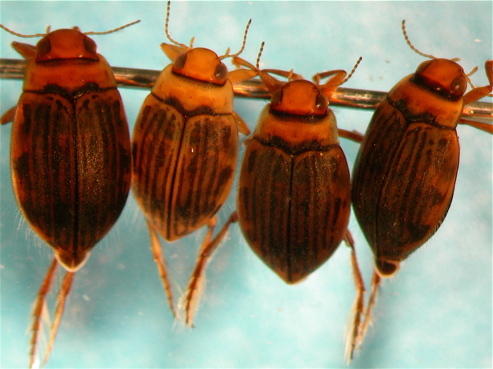 Some species are only found in one or two wetlands and there are still many undescribed species. This makes it difficult to develop protection plans. 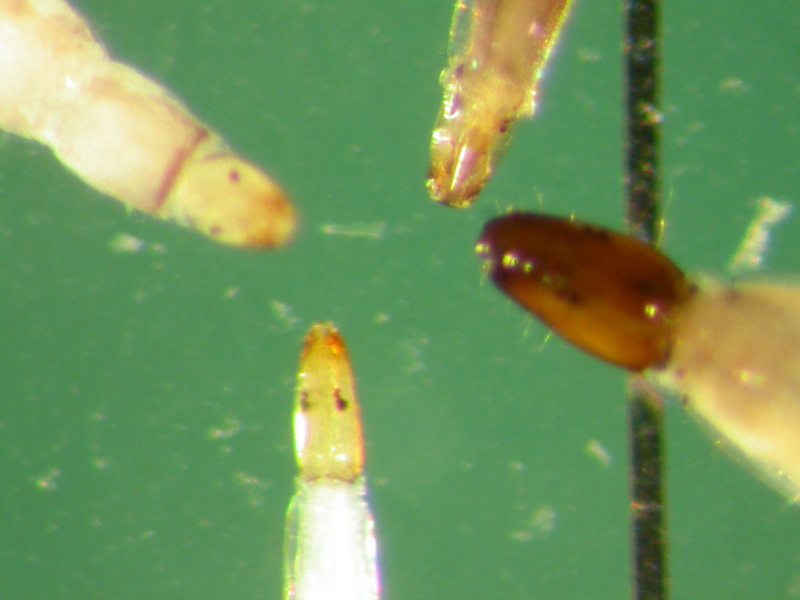 The eggs of seed shrimps can survive in dried sediments for several years. This species occurs in brackish to saline water and is common in swards of the aquatic flowering plant Ruppia sp. The grid squares are 1mm2. 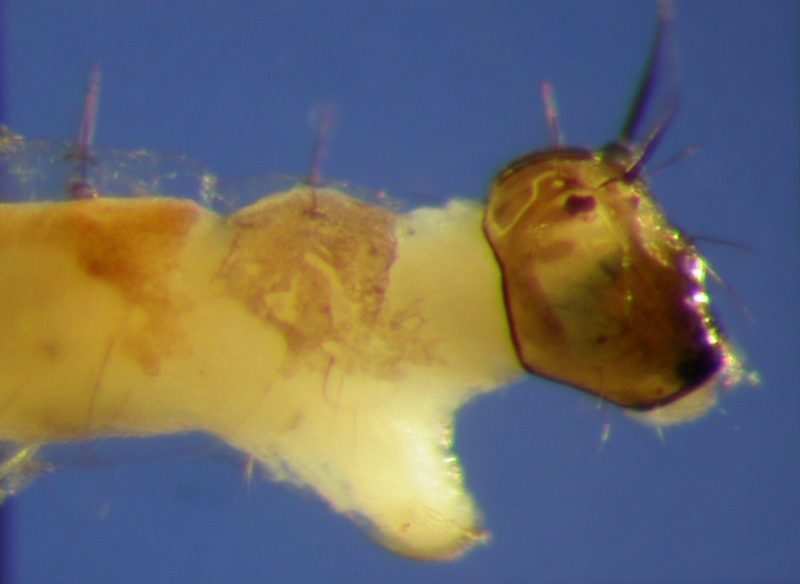 The larval caddisfly, Symphitoneuria wheeleri shown here is a halophile, i.e. it lives only in saline water. 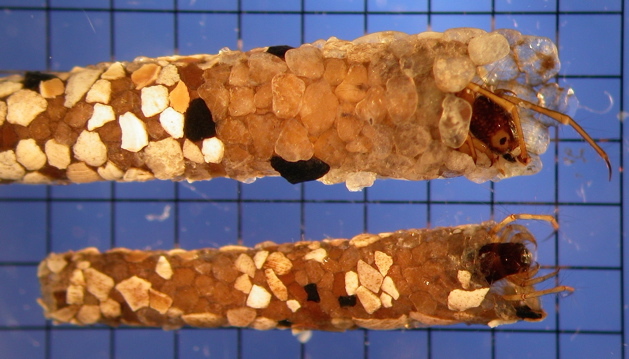 It utilises both sand grains and/or plant material to make its case, depending on what is readily available. 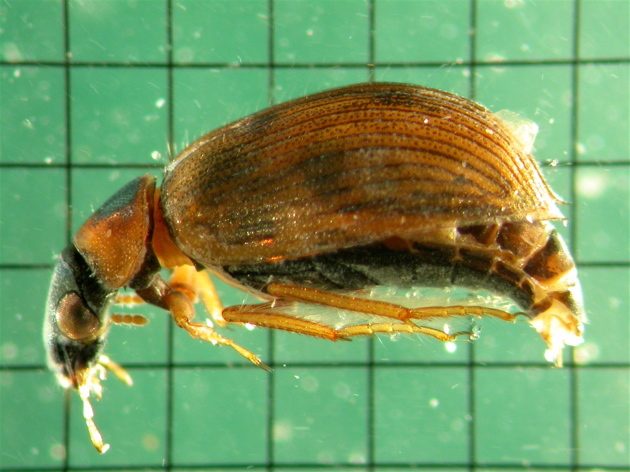 The larvae feed on both plant material and small invertebrates and are the longest living stage of its life cycle. The grid squares are 1mm2. 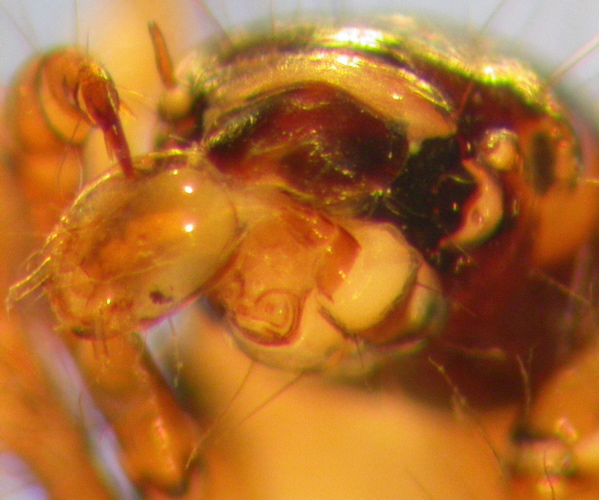 The second photo shows the head of a larval Symphitoneuria wheeleri with the head of a midge larvae protruding from its mouth. The adults superficially look like moths, are nocturnal and short lived.